Why should you choose CAIS products? 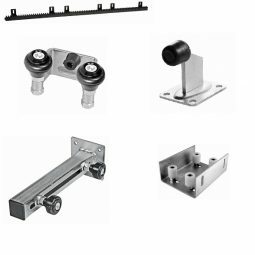 We are GENUINE MANUFACTURER of HIGH-QUALITY COMPONENTS for sliding gates, swing gates, sliding doors and fences. 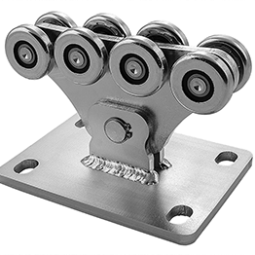 Currently We are the only manufacturer of “C” PROFILE for cantilever gates made on our unique EIGHTEEN MACHINE HEAD ROLLFORMING LINE (thickness from 1 mmup to 5 mm. ), with a unique PC automation perforation system on board, developed and produced in cooperation with BRNO UNIVERSITY OF TECHNOLOGY , Czech Republic. 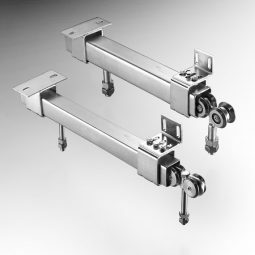 We guarantee 100% of compatibility of our “C” PROFILE for cantilever gates with our CARRIAGES for cantilever gates, considering that we are manufacturing the both products in our Production plant in Frystak. The wheels of our CARRIAGES are produced with a special riveting procedure, which represents OUR unique KNOW HOW and guarantees the long life of the product. Various types of our modern CNC LATHESare equipped with the automatic barfeeders and produce components from Ø 6mm up to Ø 300mm. Based on our specific requirements the HYDRAULIC PRESS MACHINES were designed and produced with capacity 50 – 100 tons. This capacity guarantees optimum pressure for precise riveting. 90% of equipment and machines in our production plant represents the latest technologyand has less than 3 years. Our highly qualified and extremely skilful technicians are the guarantee for the HIGHEST QUALITY PRODUCTS. Our products are TESTED MINIMUM 24 MONTHS before going on sales. In last 24 years, our testing and installation Team have installed and TESTED over 2000 cantilever gates, 1500 swing gates and numerous sliding doors. Most of our products are developed and produced in cooperation with BRNO UNIVERSITY OF TECHNOLOGY, Czech Republic. Currently (Year 2016) we are successfully exporting in more than 20 countries (DE, AT, BE, NL, DK, UK, SK, SLO, SRB, CRO, BIH, MKD, HU, RO, BG, PL, EE, LV, RUS, BY, NZL, AU, QA).